What would happen if every time we spoke of the gospel we got it wrong? Would our evangelistic efforts introduce people to the wrong Jesus? It is imperative that we know, believe, and proclaim no other gospel than the one delivered by Jesus Himself. 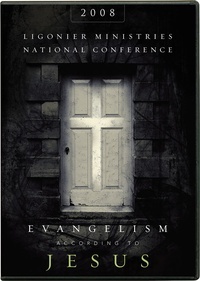 In these lectures from Ligonier Ministries’ 2008 National Conference, Sinclair Ferguson, Steven J. Lawson, John MacArthur, C.J. Mahaney, R.C. Sproul, and Joni Eareckson Tada teach the different aspects of the good news of Jesus Christ and explain how they must impact our lives and our evangelism.